The result of a unique saponification process highly concentrated in olive oil, this soap provides a rich and unctuous lather that leaves skin soft and hydrated. All skin types, even problem skin. After getting skin wet, work into a lather to cleanse skin. Rinse off. SODIUM OLIVATE, SODIUM OLEATE, SODIUM PALM KERNELATE, SODIUM STEARATE, SODIUM PALMITATE, AQUA/WATER/EAU, GLYCERIN, PARFUM/FRAGRANCE, SODIUM CHLORIDE, ALOE BARBADENSIS LEAF JUICE, PENTASODIUM PENTETATE, TETRASODIUM ETIDRONATE, TITANIUM DIOXIDE (CI 77891), YELLOW 10 (CI 47005), GREEN 5 (CI 61570), IRON OXIDES (CI 77499). 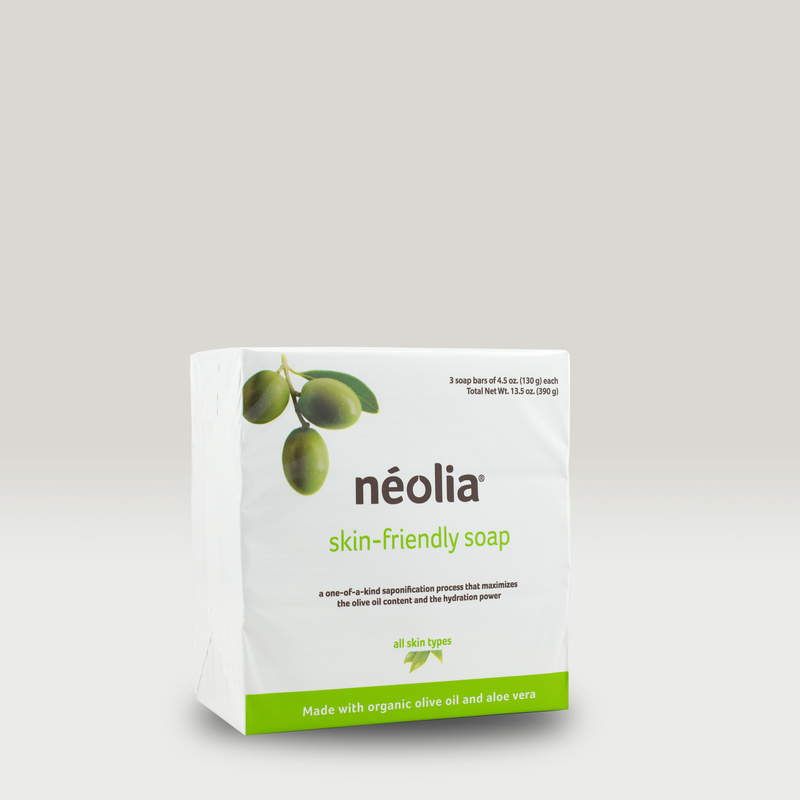 Paraben-free, no animal ingredients, not tested on animals, biodegradable, gentle to the skin and recyclable. 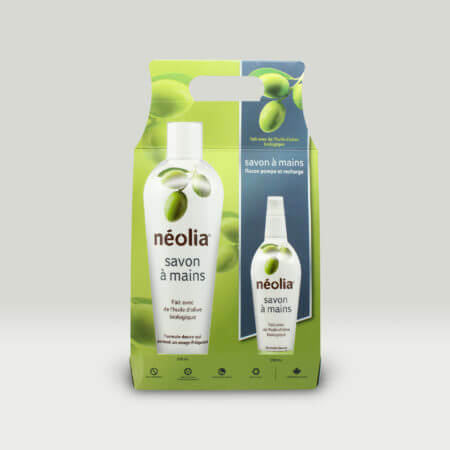 Naturally rich in fatty acids and full of vitamins A and E, this oil has moisturizing, nourishing, softening, antioxidant, regenerating and protective virtues and is the core of our Néolia® products. 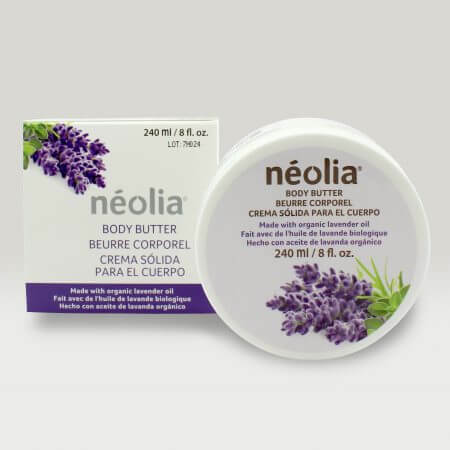 It leaves skin and hair with a youthful glow and a remarkable suppleness. Rich in polysaccharides, aloe vera also contains vitamins A, B, C, E, minerals (calcium, copper, iron, lithium, magnesium, manganese, phosphorus, potassium, sodium, zinc), enzymes and essential amino acids. This plant has among other things antiseptic, antiphlogistic and bactericidal properties. It favours healing, regenerates cells, rehydrates and nourishes all skin types.